For replacement eZeClip requests, a photo of the clip via email will be required and in some cases, we may request return of the clip. Please contact us to discuss prior to sending back your clip.. 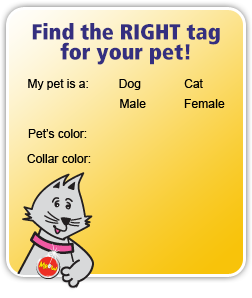 If we have sent you a faulty tag, the incorrect tag or have engraved the incorrect information on your tag, simply fill in our tag correction form, ensuring you provide a photo of the tag/s, and we will gladly send you a replacement tag free of charge. If you are requesting a replacement tag for a different reason, or requesting a refund, we may ask you to return the tag to us. Please note, returns of this nature are to be sent at your own cost, and if possible, via a trackable service to ensure goods are received. As our metal tags are deeply laser engraved, your order may arrive with the appearance of a bold finish. If this the case, simply wipe over your tag/s with a cloth (e.g. polishing or jewelry) to smooth over the engraving. *The payment will appear on your statement as "BOWWOWMEOW"
Orders are sent in an envelope, by regular, untracked air mail to the delivery address provided** via your Country's postal service. A signature is not required upon delivery. Depending on the day/time your order is submitted, some orders will be processed the same day. Others can take 1-2 business days to be processed. Changes cannot be made once your order has been processed. **PLEASE NOTE: We do not accept Parcel Locker or Parcel Collect delivery addresses due to orders being sent in standard envelopes. Re-delivery fees will apply should a Parcel Locker or Parcel Collect address be provided and your order returned to us. Please allow up to 21 business days for delivery from the date of dispatch. If you have not received your order after 21 working days, please notify us immediately by completing our Correction/Replacement form or email us advising us of your order number and order details. 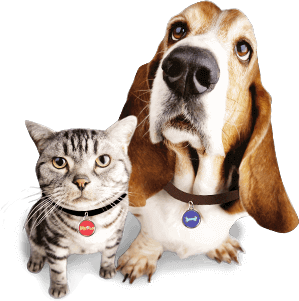 - We will replace any tags lost in the post free of charge, provided the delivery address entered is correct and if they are reported to us within 60 days from the date of dispatch. Refunds will not be provided, however, a 20% discount will be provided for replacement tag/s if reported to us after 60 days. 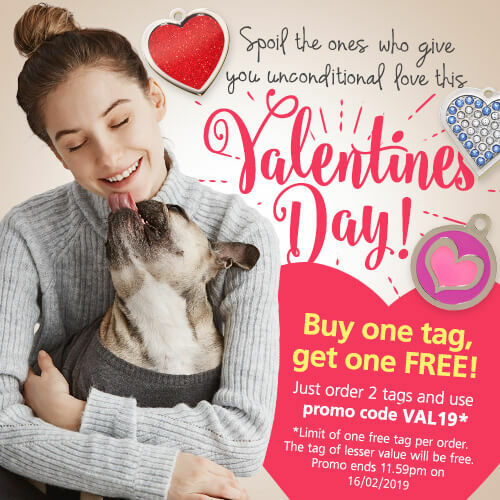 - If you provided us with an incorrect or incomplete delivery address and your order is not returned to us, we will replace your tag/s at a 20% discount by providing you with an online promotional code. - If you provided us with an incorrect or incomplete delivery address and your order is returned to us, an administration fee of $5.00, plus the postage cost to resend your order to the correct address will apply and is payable by credit card or PayPal. *Returned orders will be held for 60 days after our initial contact with you, after which time, a new online order at the advertised price will be required should you wish to reorder.